A meeting of the Boston Avid Users Group. In every community there are a number of resources that enable a video professional to keep abreast of what is going on in the video production community. These resources can be a valuable connection for the creative video professional, exposing them to new tips and techniques as well as other professionals with the same same skills. Some of these resources are online groups such as LinkedIn Groups for the Film and Video Pros, Facebook Resources for Digital Video Editors, Film and Video Professional Communities on Google+ or other Digital Video Resources Available on the Web. But there are also networking groups that allow editors to discuss issues face to face with other video professionals - the video professional user group. In the past, I have written about The Evolution of Video Editor User Communities and this week we'll discuss the importance of becoming a member of a professional user group in your area. Don't get me wrong, these aren't exclusive groups, open only to the professional, but are great opportunities for students as well. Film and video students have a great opportunity to interact with professionals in their chosen field of study. In Boston, we are very fortunate to have a choice of creative video user group associations. For Avid editors there is the Boston Avid Users Group for discussions about all things pertaining to the Avid Media Composer editing system. For video professionals in general, there is the Boston Creative Pro User Group, a way for producers, editors and filmmakers to swap stories and interact with members of Boston's Production and Post community. Both groups offer great opportunities to network and find out where that next gig may come from. If you don't live in Boston, find out what type of professional video groups exist in your local area. 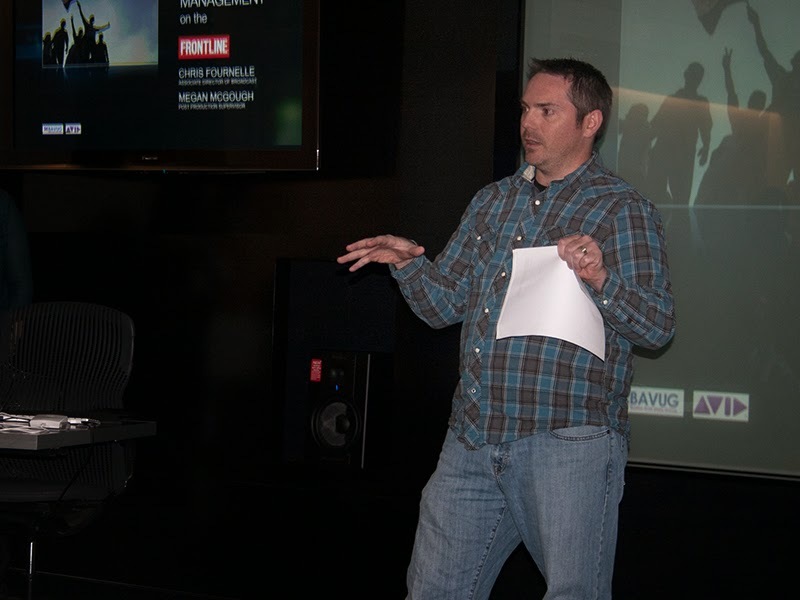 For Avid editors, the Avid website has a section dedicated to local Avid User Groups. In addition to each meeting of a professional user group being full of information and discussions of successful workflows, both of these Boston groups offer opportunities to add tools to your collection. For a few dollars, every attendee is entered into a raffle that includes anything from branded hats and shirts to full software packages. The Boston Avid Users Group is currently offering enrollment for its 2014 membership. Being a member is a great way to be a part of a great video user community. There are additional benefits as well, including free raffle tickets for each meeting, access to "members only" events and raffles, discounts on classes and a lot more. As a former member of the BAVUG board, I know how much work and expense goes into every meeting. Being a member ensures that BAVUG will continue to offer great events in the future. For instance, last month's meeting was an in-depth discussion of file-based Video Media Management at PBS FRONTLINE. The coming year looks to be full of discussions of different workflows. I'm looking forward to next months meeting when my friend Sid Levin will demonstrate the ins and outs of the new BlackMagic Design Cinema and Pocket Cinema cameras. He'll also roundtrip a project from Avid Media Composer to BlackMagic's DaVinci Resolve. I hope to see you there.